I have been inspired by a lot of photographers and aspired to make art work such as this. Moody, Dark, and Dramatic. Thanks to Yuki and Phil. I finally got a chance to create an actual stunning and artistic image. This photograph was taken after the ceremony and the wedding party pictures. As soon as I saw the field, I immediately had a vision in mind of how I wanted to photograph next. I directed the wedding party back to the cocktail hour. I had the couple just walk up the field. 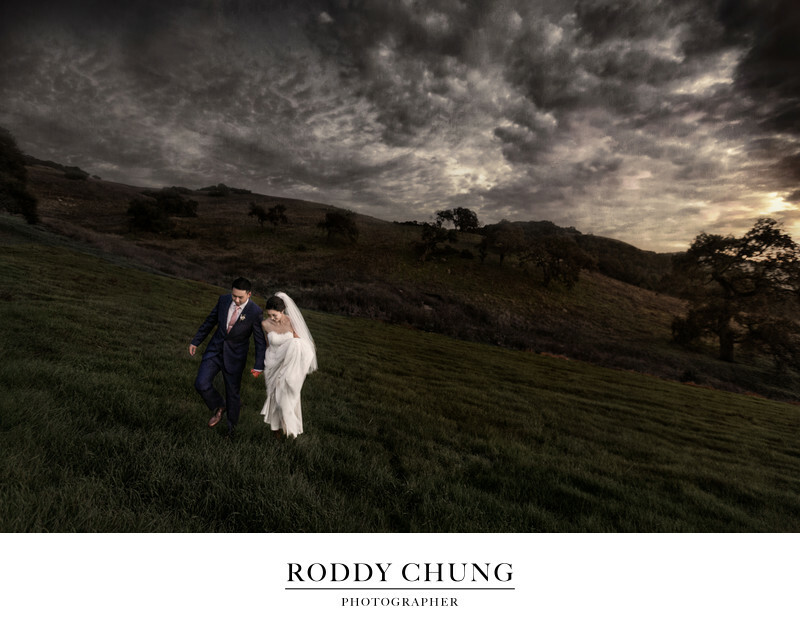 With the sun almost setting and the dramatic sky in the background, this wedding portrait turned out to be just as incredible as I envisioned it. This is arguably one of the best pictures I have ever made in my opinion. And with a couple like Yuki and Phil, they made everything such an ease. They were down to do anything. While we were there, the field was actually a little bit muddy. "No problem! Let's do it as long as you promised the pictures will turn out great." And with no disappointment, I delivered the image I'm the most proud of to conclude my 2016. It was my honor to photograph them especially in a destination wedding. Lots of great memories to be relived.